Wild Rock is a producer of premium crafted wines situated in New Zealand’s prime wine-growing districts of Hawke’s Bay and Marlborough. When Captain James Cook and Sir Joseph Banks took their first great voyage in 1769 they encountered the coastline of New Zealand, a wild rock formation as plainly seen from the sea. Banks soon discovered a bountiful land of birdlife and plants with rich soils admirably farmed for crops by the native Maori, blessed by the sun and rivulets of water. His collections and descriptions of plants formed the foundation for the modern study of New Zealand botany. 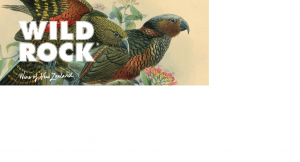 Referencing Captain Cook’s initial impression of New Zealand the Wild Rock labels incorporate those flora and fauna drawings chronicled by Cook and Banks on this initial exploration. Marlborough is renowned for aromatic whites and Pinot Noir. The parcels of our Sauvignon Blanc, Pinot Gris and Pinot Noir are sourced from premium vineyards in Marlborough, with rich alluvial soil creating wines with great depth and fruit intensity. 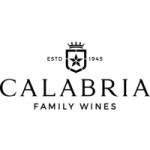 The Marlborough region covers cooler and drier inland sites as well as earlier ripening vineyards that are more exposed to the sea breeze of the coast, all expressing pure and intensely flavoured grapes of exceptional quality. Hawke’s Bay is blessed with a diverse range of soils and micro climates that create endless possibilities for wine growing. The Gimblett Gravels are the warmest vineyard area in New Zealand with ideal climate factors such as sunshine hours, humidity and rainfall. This combination of fertile soils and continental climate allows us to produce Hawke’s Bay wine with great complexity and flavours distinctive for this region.